In the wake of the Trump Administration’s ending of the Deferred Action for Childhood Arrivals (DACA) program, CAA and other advocates around the country are seeking a “clean” DREAM Act to swiftly provide a permanent pathway to citizenship for undocumented youth and families. 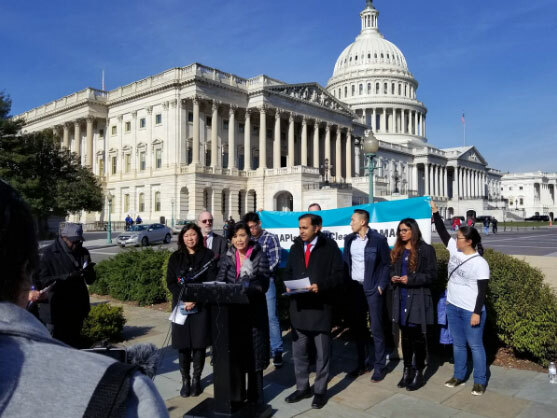 In November, CAA traveled to Washington, D.C. with the Asian American and Pacific Islander (AAPI) Immigrant Rights Organizing Table to meet with and persuade congressional leaders to take action to support all immigrants in need. As part of a nationwide movement of over 120 AAPI immigrant rights leaders, CAA is mobilizing for a clean DREAM Act now. Respect the dignity and humanity of all immigrants. Emphasize family unity as a guiding principle. Protect due process and civil rights for all. Stop the criminalization of immigrants. Steve Li spoke of his experiences as an undocumented Chinese American directly impacted by the Trump Administration’s policies. A clean DREAM Act must foreground the humanity and contributions of immigrants and reverse the xenophobic and violent immigration enforcement policies of the current Administration. This means setting forth proposals that provide a direct and inclusive path to citizenship to keep immigrant families together, and no rollbacks of family-based provisions or restrictions on immigrants’ access to public services. A clean DREAM Act also recognizes that equal protection under the law is a constitutional right of all people and not one predicated on one’s immigration status. We communicated these principles in D.C. through press conferences and in meetings with members of the Congressional Asian Pacific American Caucus and others. 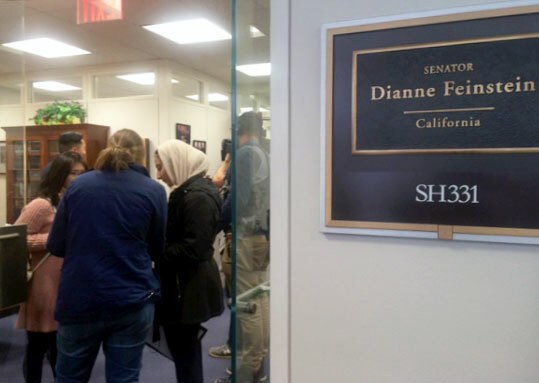 In one meeting with Senator Dianne Feinstein, we highlighted the unique experiences of the undocumented AAPI community through testimony. Steve Li, a CAA-allied ASPIRE member, spoke of his experiences as an undocumented Chinese American young person directly impacted by the Trump Administration’s abhorrent policies. This exchange and other highlights were captured on social media and through Storify. 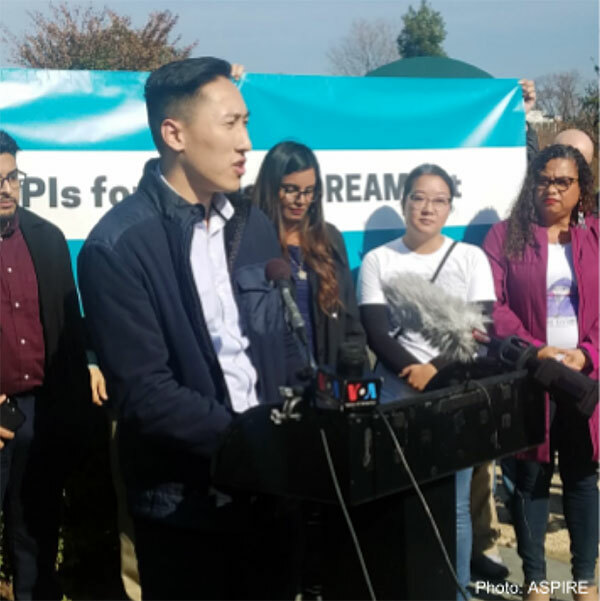 CAA will continue elevating Chinese progressive voices in the national sphere through our advocacy for a clean DREAM Act, and strive to work with other impacted immigrant communities. Longer term, we will continue to challenge attacks against immigrants and pursue policies that keep families together and safe.